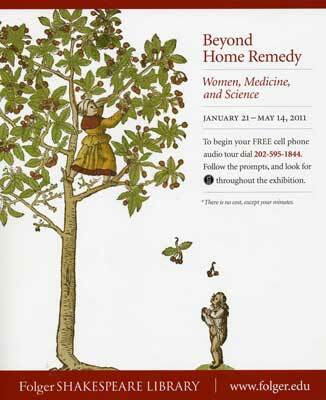 For those unable to get to DC some information on each display is given in a phone audio tour at 202-595-1844. 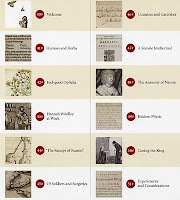 Click on the picture above to the right, for larger view of numbers... 43 Hannah Wooley; 46 Countess and Caretaker; 50 Cuting the King, and many more interesting topics. 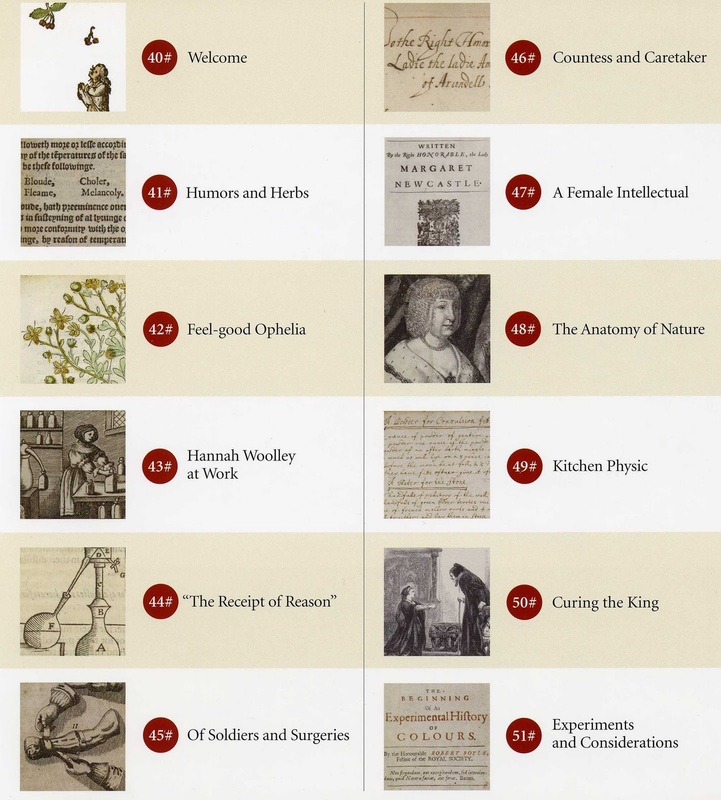 "Syrup of violets, plague water, a drink made from snails – these are some of the “healthy” recipes concocted by women in Shakespeare’s England that will be featured in this fascinating look at historic medicine. This exhibition highlights women at all levels of society—from the Countess of Kent and Lady Castleton to Hannah Woolley and Mrs. Anne Coates—who were known to practice medicine. Manuscript, text, and image from the Folger’s collection bring the work of these women to life, while natural history specimens and instruments from the Smithsonian help to demonstrate the elaborate nature of the recipes women constructed and shared with one another."